Australia visited by bluegrass royalty cont. Peter Rowan is most recognised as a singer, guitarist who played with Bill Monroe in the 1960’s, and at 68 years old he still plays a great show! On this night at the Cat and Fiddle, he and his band rocked the house. It is embarrassing when the performers can not be heard over the cooking in the kitchen. Surely some kind of sound proofing can be put in. It is shameful that the musicians were not given drinking water and something to dry their hands with. Midway through the show Peter asked for a face towel and was given a wet bar towel. Full credit – they didn’t complain. The stage is not a stage at all but a carpeted area. Cat and Fiddle could have organised a red curtain and moved the rubbish from the backstage area. With all this in mind, the band was very strong. Highlights were Panama Red which drifted into mocking the Tea Party ‘movement’. Jody Stecher on mandolin got the crowd heaving with his song Catfish blues (below). The overwhelming highlight of this set was the harmonies and movement on stage. 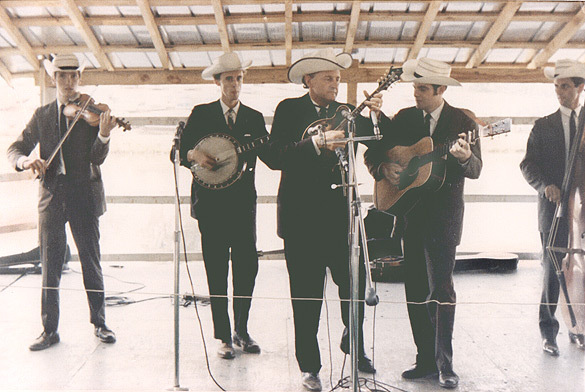 The had a simple microphone setup rarely seen anymore – three instrument mics that were used interchangeably by the banjo, guitar and mandolin and one condenser mic for the vox. This allowed for a lot of movement mid song and the singers could sing to eachother opening up the expression. So much of music is physical stage presence and these guys had the mojo dripping off them. These guys don’t do showy bluegrass playing unless it fits with the musicality of the song. Songs like Family Demon and Jailer, jailer highlight their strong songwriting with meaningful lyrics and the strong soloing matches the emotionality of the songs. 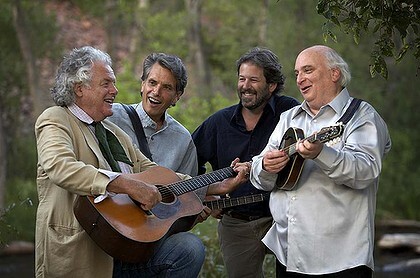 Peter Rowan and his Bluegrass Boys, having played at Byron Bay Blues Fest, are on their way back to USA.